How long does it take the moon to orbit around the Earth? Where does the expression Blue Moon come from? 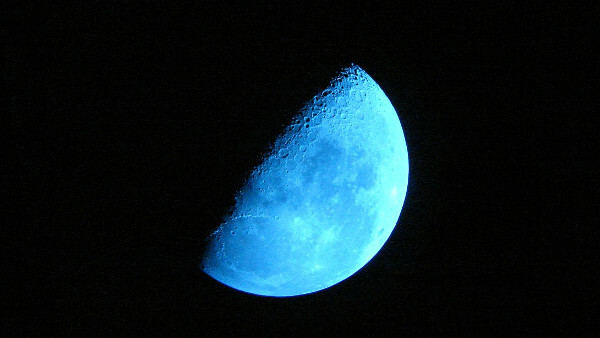 Why are there two different meanings for Blue Moon? There are two meanings for Blue Moon. The older definition, which seems to have been forgotten, referred to the third full moon in a season when there were four full moons in that season. The newer definition refers to the second full moon in the same calendar month. If the first full moon occurs near the start of the season, the second full moon occurs about 29.5 days into the month, the third full moon occurs about 59 days into the season, and a fourth full moon will occur about 87.5 days into the season. It was that third full moon that was, traditionally, called Blue Moon. This gives 11 months with one full moon each and one with two. This second in a month, so I interpret it, was called Blue Moon. For some reason, his interpretation of Blue Moon stuck and most people today understand it to mean the second full moon in a calendar month. Originally, it simply meant “nonsense”, but eventually shifted its meaning to being something rare, uncommon or unusual. Sometimes the moon can appear to be bluish This is a rare event and occurs when very fine particles (about 0.7μm in size) are in the atmosphere. They scatter the light and can make the moon appear bluish in colour. The most common causes are forest fires and volcanic eruptions.